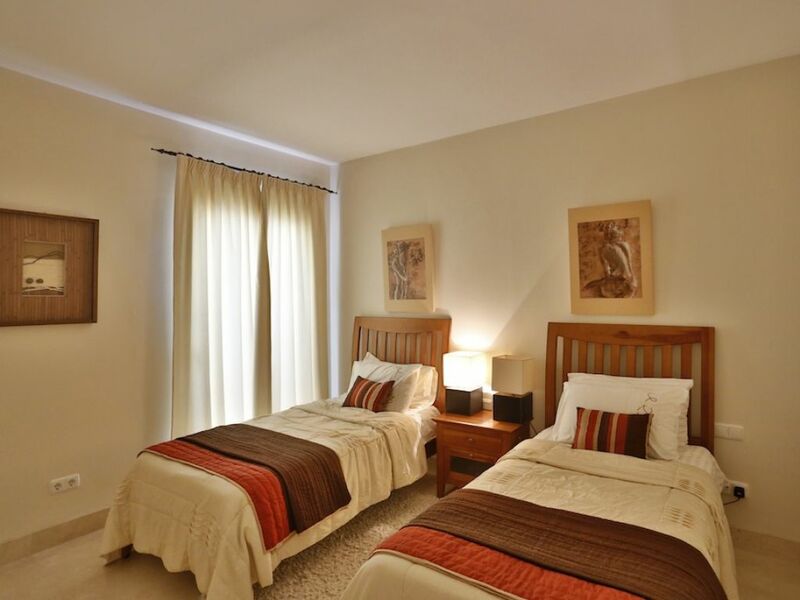 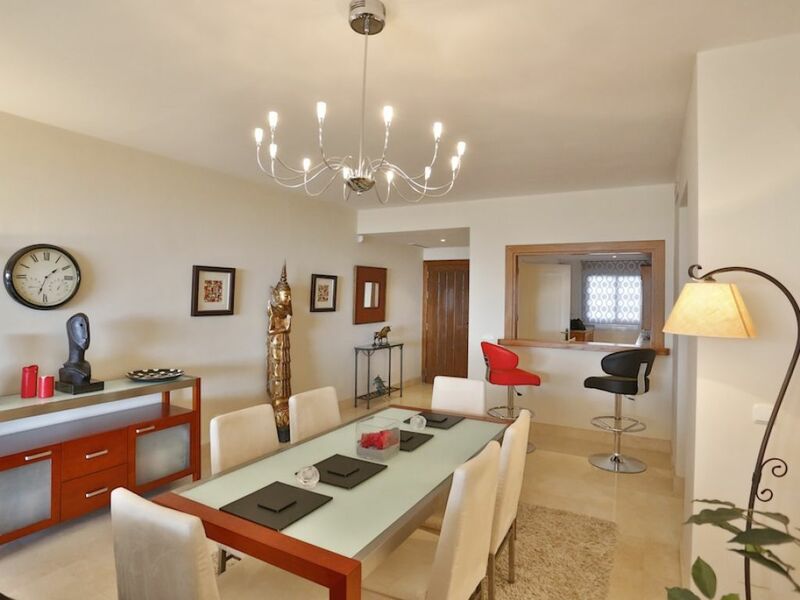 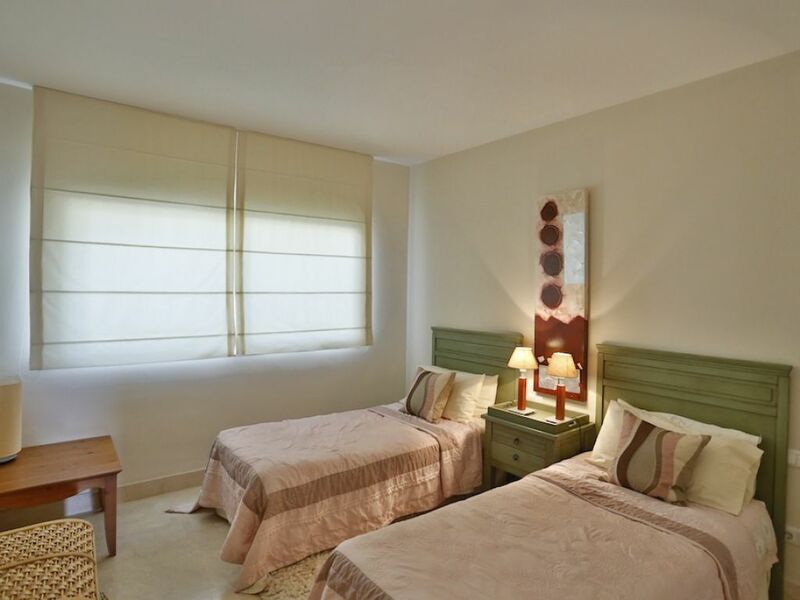 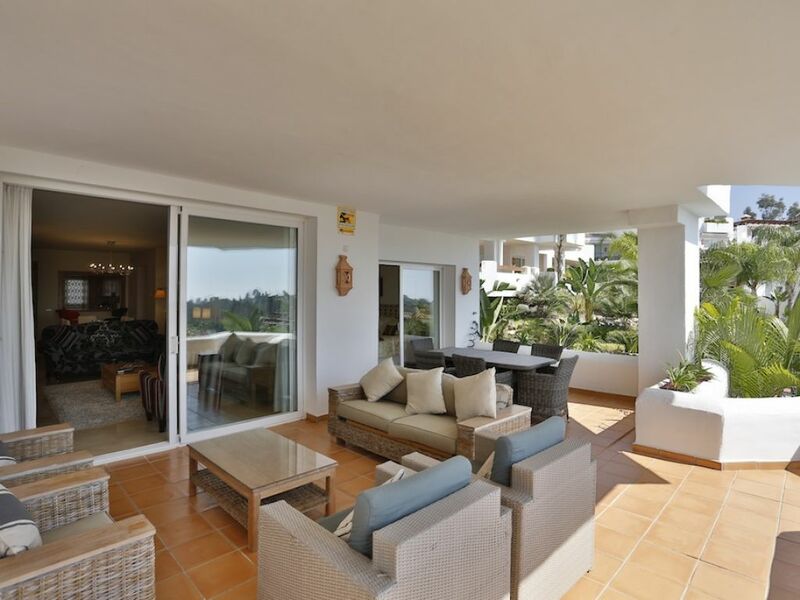 South facing apartment with three bedrooms and two bathrooms situated in the heart of the Golf Valley, just a short drive to Puerto Banús, many surrounding golf courses and shopping centers. 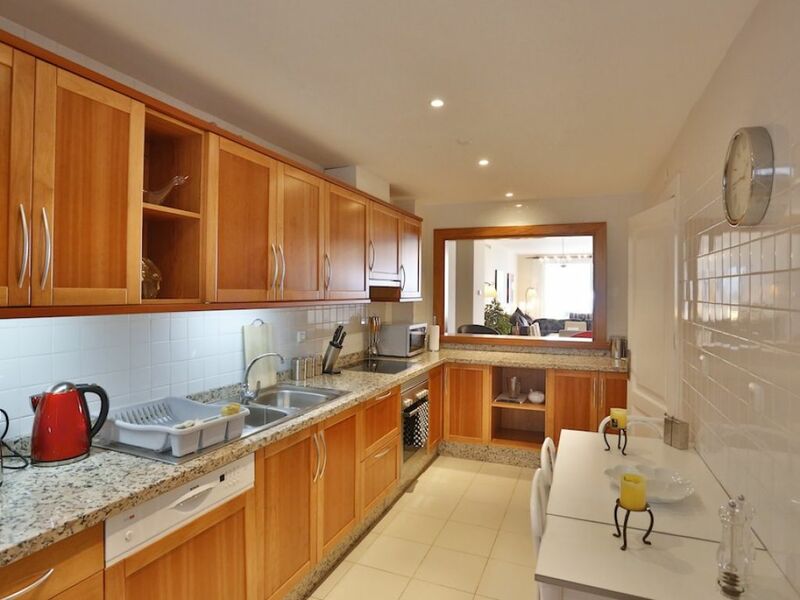 Built over one floor level, recently completed and offering high quality building materials, the apartment offers a very spacious fully fitted kitchen with serving hatch to the lounge and doors out to a lovely terrace. 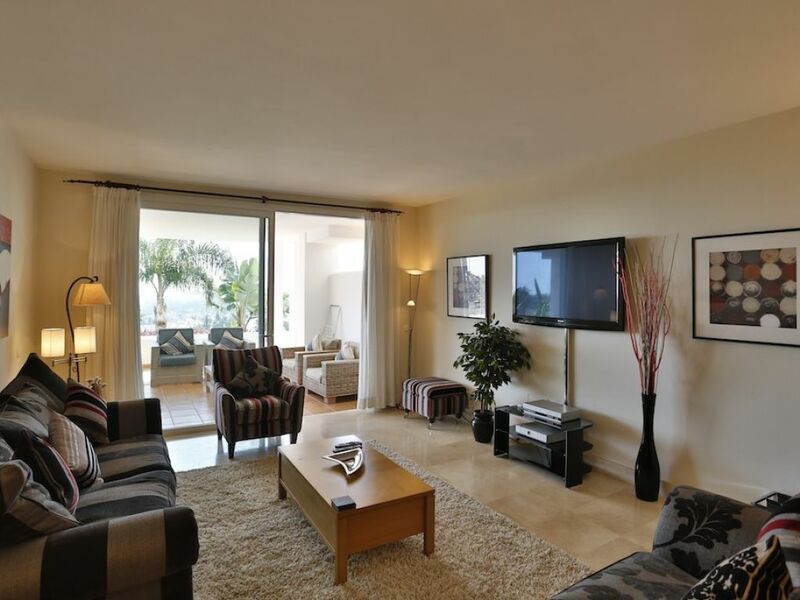 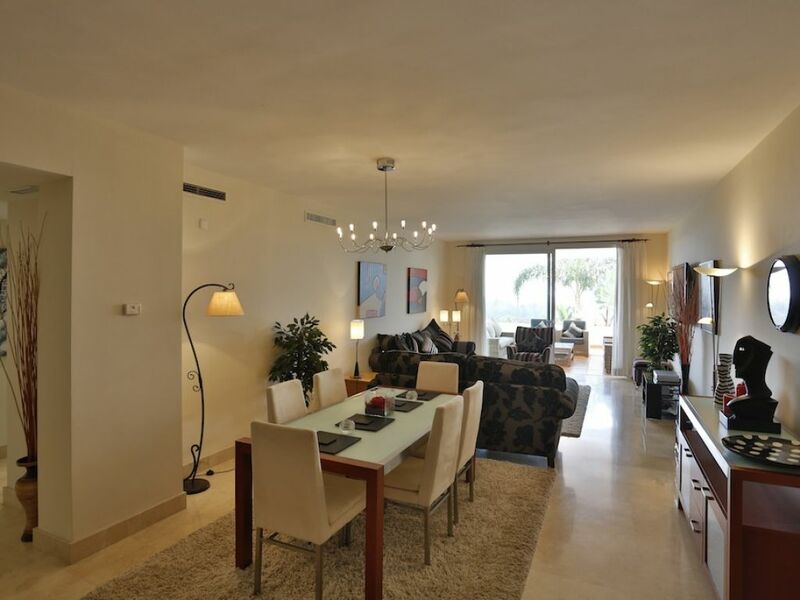 Enjoying panoramic views of Puerto Banus and the Mediterranean Sea. 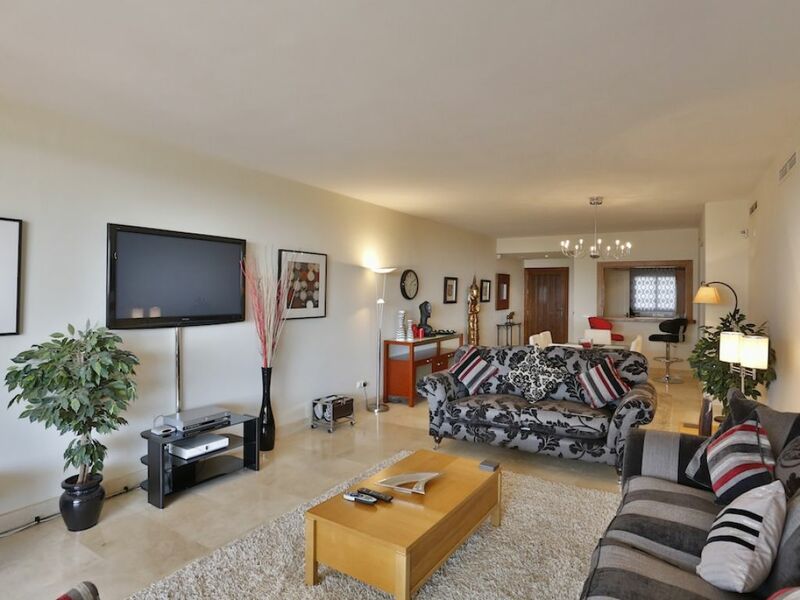 The property is fitted with A C hot and cold, pre-installed alarm system, communal satellite TV, pre-installed piped sound system and a parking space with storage in the communal garage. 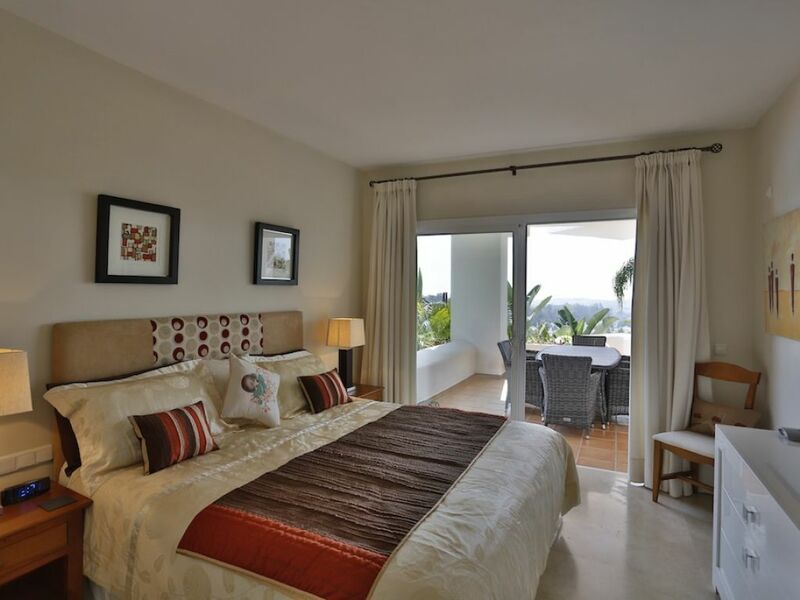 The complex offers spectacular subtropical gardens and a swimming pool.